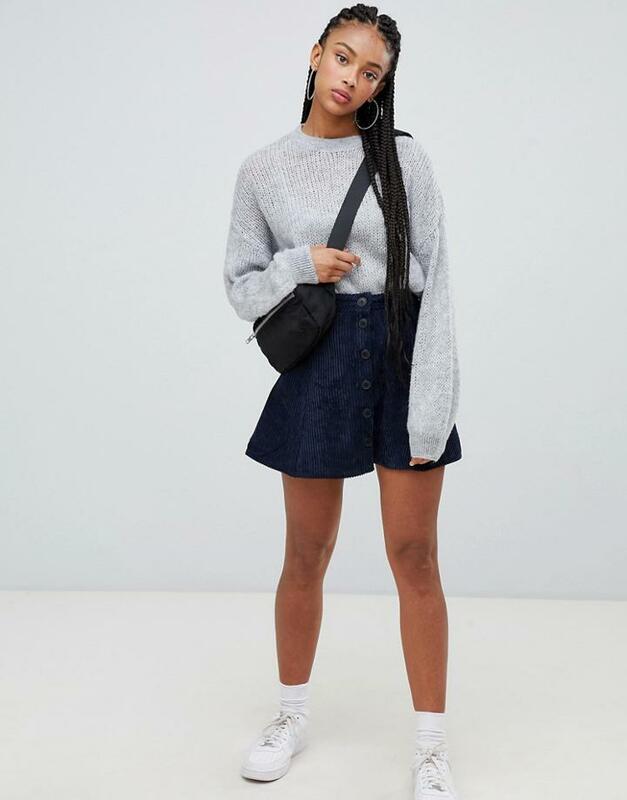 Skirt by Bershka, This is a bit of you, High rise, Button front, Regular fit, A standard cut for a classic shape. Bershka has been dressing the young and adventurous since 1998. Influenced by the latest music, technology and social media trends, it upgrades your Saturday AM-to-PM style with cool denim, classic knits and awesome accessories.